Until this Easter Monday, you can get 30% off any purchase made at the Samples From Mars online store. Samples from Mars is running an Easter sale, and until Monday March 28th at 11:59 PM EST you can get 30% off their entire store by just add anything to your cart and entering coupon EasterFromMars at checkout. More details at the Samples From Mars website. 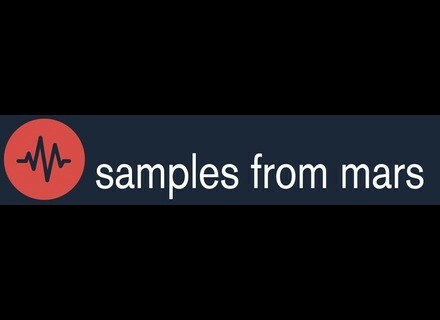 Samples From Mars Tape Drums vol II Samples From Mars has released Tape Drums Vol II, a bundle said to include the brand's most popular drum machine samplings of 2015. Samples From Mars SP 1200 From Mars Samples From Mars has released a Kontakt library based on one of the most famous samplers ever - the SP1200. Samples From Mars release virtual MicroMoog Samples From Mars have released Micro From Mars, a samples rendition of a MicroMoog available in several formats.